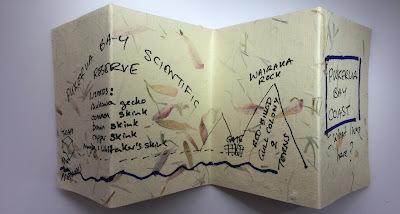 Crazy about kākāpō? Curious about kauri? 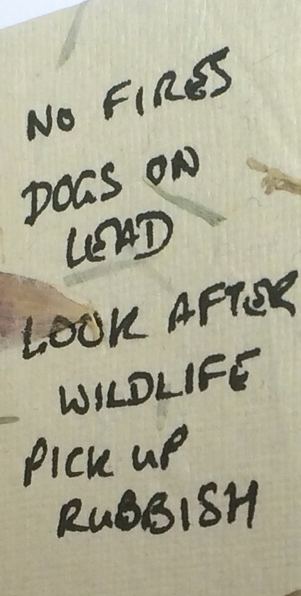 Amazed by animal poo? Wild about weka? If you are a nature fan, you can make a zine to share your passion. 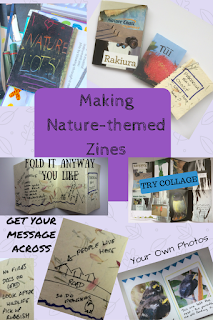 … you can see from the title why I was inspired to make my own zines! I joined a Zine-Along workshop in Porirua Library’s Long Hot Summer Story Festival to start making my zines and share ideas with the children who came along. My first zine, was made using paper that already had a photograph on it, which created an interesting background. The photograph reminded me of Rakiura Stewart Island, one of my favourite places to see nature, so I used collage to highlight some of the animals you can see there. For my second zine, I was inspired by finding tūī chicks in the garden. 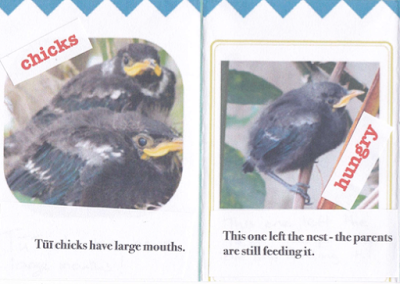 I made a zine about Tūī using my own photos. 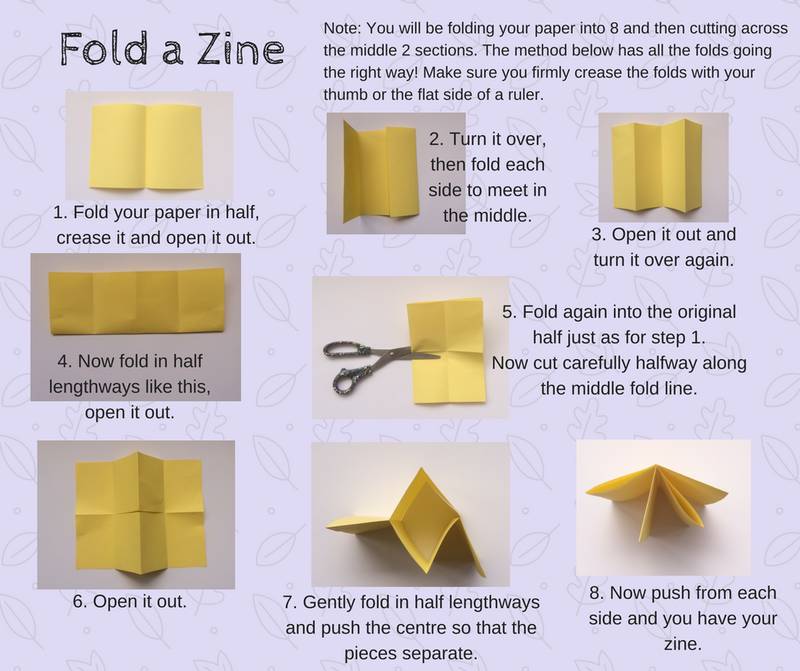 I wanted to try a different zine construction, so I decided to use a concertina style. I decided that the way this zine opens out suited a walk or journey. 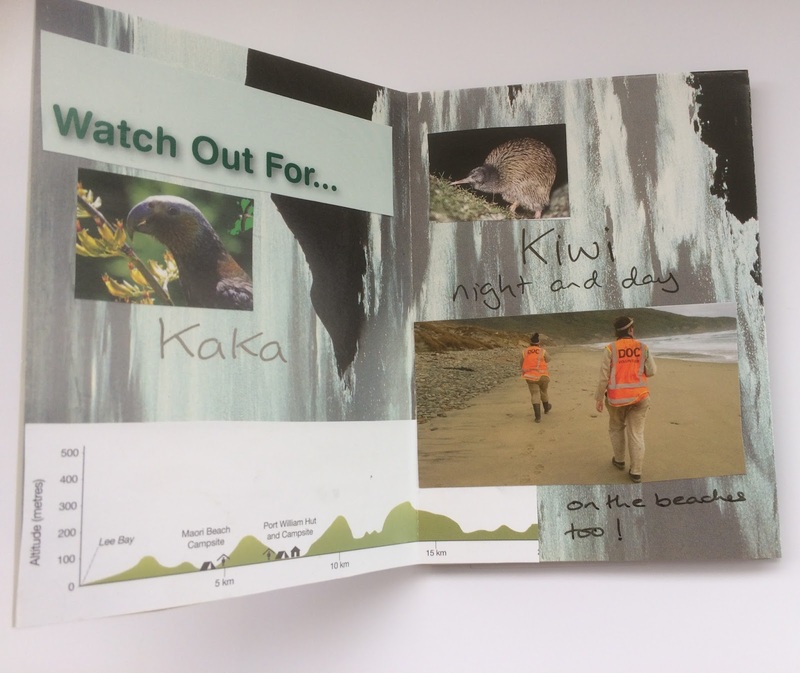 I used both sides to show the landmarks on my local coastal walkway along with information about what animals live there. And because I’m concerned about the safety of the penguins that live there, I put in things people can do to protect penguins. I used a piece of handmade paper that I found and did this one by hand. The paper was so thick and springy, I needed a paper clip to keep the zine shut! and lots of creativity and passion. Decide how you want to fold your paper. You’ll find lots of different folding ideas online. I practised mine on scrap paper until I got it right. There’s a good You Tube video on how to construct an 8-page zine like my Rakiura or Tūī zines. But I’ve also written some instructions here. Sharing Zines: Zines are not sold, but given away. 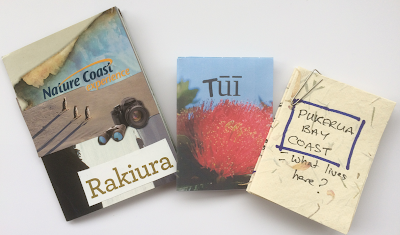 They are often copied in small numbers and swapped between zine makers. When you make a collage the images are often no longer recognisable and so the collage becomes your creation. But the bird photos I used for my Nature Coast collage are another adult’s copyright, I knew it wouldn’t be fair for me to make copies of this one without their permission, so I made it just for myself. 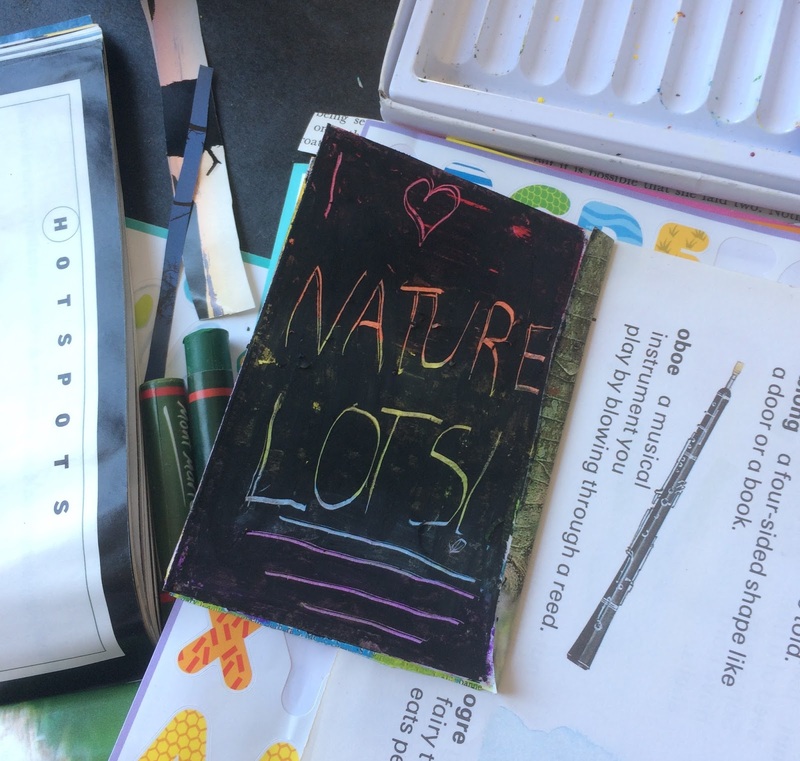 Libraries sometimes hold zine workshops or events, ask at your local library. This blog was also published on https://explorediscovernature.blogspot.co.nz which is where you can read about my nature inspiration.